A pickle dish was used Aug. 11, 1940, to take up the collection at the first Mass at St. Jerome parish in Maplewood. The Mass was held in Edgerton School, and that first collection totaled $1.75. Seventy-five years later, the diamond anniversary of the parish was marked Aug. 9 with a celebration on the grounds of the church on Roselawn Avenue just east of I-35E. Although it’s a small parish and has always been small, that is a positive thing, according to 21-year parishioner Mike Ahles. The result, he said, is that he and his wife, Margaret, have developed deep, lifelong friendships from their involvement at the church and at St. Jerome School. When they bought their home in Maplewood, Ahles said they first “parish shopped” to find a spiritual home. The Father Ken to whom Ahles referred is Father Kenneth Ludescher, who first was assigned as an associate pastor at St. Jerome in 1970. Father Ludescher became the parish administrator a year later and five years after that was named pastor, a post he held for 28 years until his retirement in 2004. Father Cletus Basekela is currently St. Jerome’s pastor. Ahles said St. Jerome would be considered a more traditional parish. He praised music director Mary Beth Hess for creating a great program of liturgical music. St. Jerome School has had great principals — notable among them Servite Sister Clarice Gierzak, principal for 27 years from 1969 to 1997 — who have fostered an impressive academic level, too, he said. 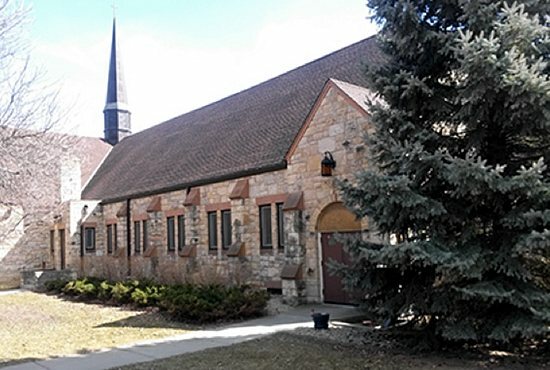 St. Jerome’s booya, which parishioners prepare twice a year, has been recognized among the best in the Twin Cities, and Ahles claimed its annual Lenten fish fry is also the best around. “St. Jerome is a hard-working, God-fearing population of east siders,” Ahles added, “the kind of people who take pride in what we do.